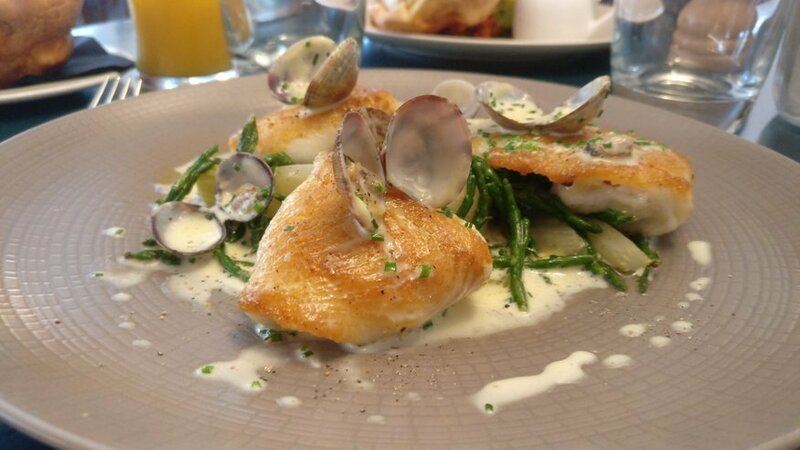 The lemon sole fillets with clams is the clear highlight of our meal. The Fox and Grapes on Wimbledon Common is the perfect watering hole for the walkers that pass it, including numerous dogs and their owners. Its kitchen has had a change up so we tried it out for a spot of Sunday lunch. 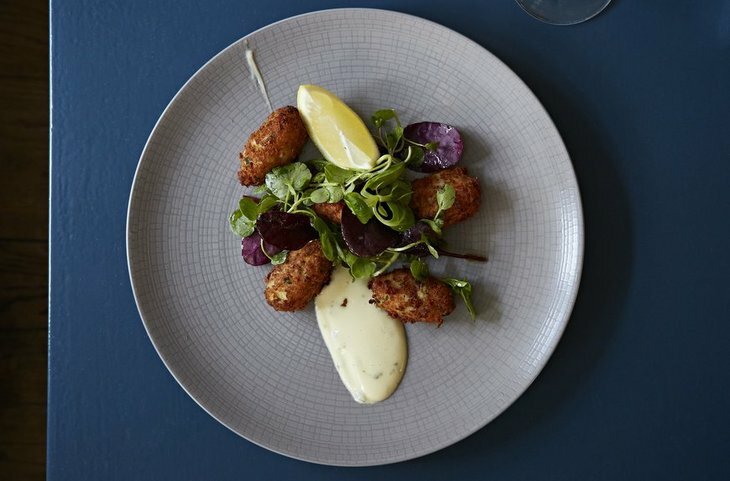 We make a solid start with some salted cod cakes — the portions are on the small side, but make up for it with lots of flavour. Never mind; it's the mains we're here for. Now, a Sunday lunch in a pub is incomplete without a roast, so our dining companion opts for the pork belly, and regrets it — the pork is far too fatty, the potatoes under-cooked and the Yorkshire pudding lacking in volume as if the fluffiness has been squeezed out of it. The salted cod cakes are a solid start. Thankfully we've opted for something more adventurous; the lemon sole fillets with clams turns out to be the highlight of both our meals. The zest of the lemon perfectly complements the sole and it's cooked to perfection — flaking to the gentle caress of a fork yet firm enough to retain its texture when placed in our mouths. The pricey desserts are a little disappointing. The ginger cake is serviceable, and the cheesecake's lemon drowns out the passion fruit. The interior of the pub is lovely. It's standard pub fayre, and while it's decent, we were expecting a bit more given that prices are a little higher than your average traditional pub lunch. 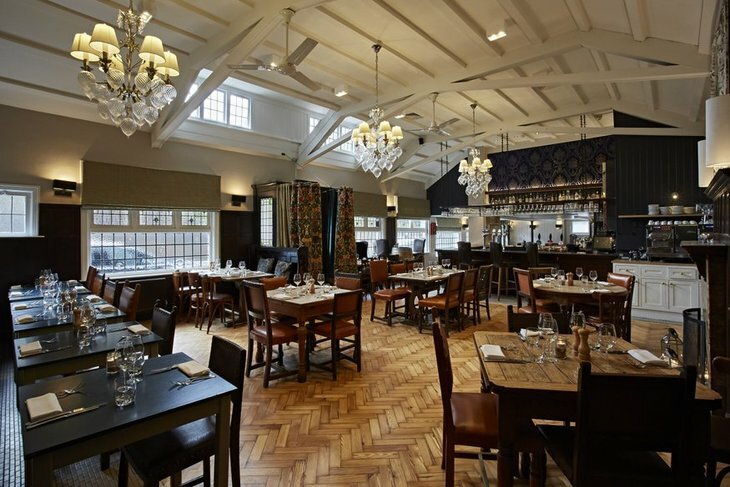 Fox & Grapes, 9 Camp Road, Wimbledon, SW19 4UN.